The DR-C225 is packed with innovative features to help make the scanning process easier for users. CaptureOnTouch incorporates a Full Auto Mode function that automatically applies the best settings based on document content. With a simple one-touch scanning operation, complicated tasks can now be completed in a few seconds. Another innovative feature of the DR-C225 is the 'face-up' document feeding option, which allows users to feed documents in their natural orientation to save valuable time. The latest enhancements to CaptureOnTouch offer a simpler and more intuitive scanning experience. This powerful and versatile scanning solution has been redesigned with a step-by-step icon-based user interface that lets users scan, edit and send their documents even more easily. Users can quickly convert their paper documents to multiple file formats (PDF, TIFF, JPEG, BMP, PNG and PowerPoint). CaptureOnTouch is equally capable as a simple document filing solution that lets you scan and create searchable PDF documents - including easy text-based search and retrieval. Documents can also be scanned to PDF/A files - the standard format for long-term archiving. The DR-C225 comes with a powerful and versatile range of 'out of the box' software that will enable users to work more efficiently. Along with CaptureOnTouch, Bizcard, OmniPage, Paperport, eCopy PDF Pro Office and PageManager (Mac) are all included to help increase productivity. Learn more about the software included with this scanner. With CaptureOnTouch user-friendly interface you can easily scan paper documents into digital archives and save or send them to multiple destinations, including cloud services. Create searchable PDF files using its built-in OCR technology. This scanner comes with CaptureOnTouch Pro, Canon’s professional-quality, easy-to-use scanning software. Effortlessly capture and classify batch scans, integrate your Canon scanner with your business and document workflows, and boost your productivity. 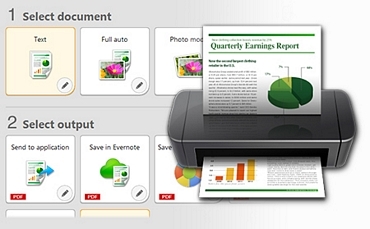 A powerful, easy-to-use application for viewing, creating, editing and converting PDFs. eCopy offers a complete mark-up, annotation and editing capabilities including creation of filling forms with automatic form field recognition .Full suite of document security and signature tools is included. Take document management to the next level with the easy-to-use but powerful software helping you to get the most from your Canon scanner. Scan, organize, search and share documents to eliminate paper clutter and effectively organize your home office. With the built-in OCR technology, OmniPage transforms documents scanned via your Canon scanner into easily editable contents. You can convert paper documents into editable digital files maintaining the same layout as the original document – complete with columns, colours, pictures and graphics. Never lose touch with your business contact thanks to the Presto! 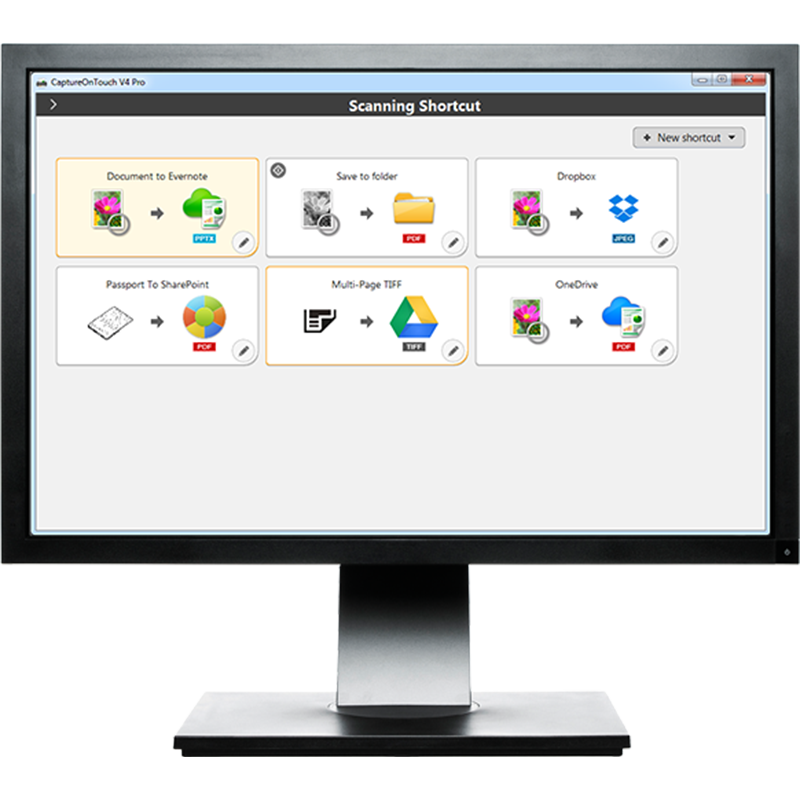 BizCard software for your scanner. It helps you quickly and easily convert the vital contact information from business cards into a searchable and editable digital database that can be easily managed and synchronised. PageManager is a powerful tool for Mac users offering effective document management. It has built-in simple text recognition (OCR) and enables you to store, edit, organise and share your scanned digital documents. Professional files processing is combined with a simple user interface. Our Business Solutions Developer Programme (BSDP) is dedicated to give you access to a range of technical information to assist development of applications for our range of business products. For more information on our SDKs please visit the BSDP website.